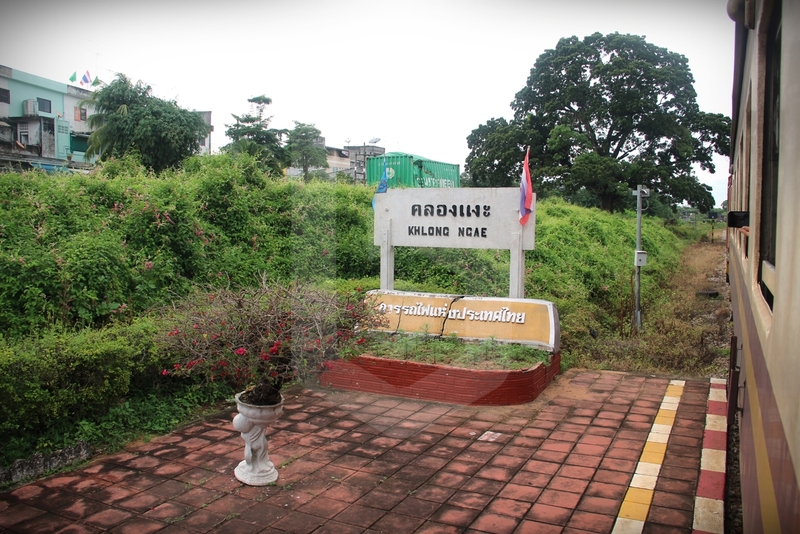 The Hat Yai – Padang Besar Shuttle Train operated by the State Railway of Thailand is a popular short-distance international train running from Hat Yai to Padang Besar, the border town in the northern state of Perlis, Malaysia. The Shuttle Train is a practical way to travel by train between Thailand and Malaysia, with the other option being the Special Express 45 that runs directly from Bangkok to Padang Besar, stopping in Surat Thani and Hat Yai, which features Second class Berth convertible to Seat more expensive than ordinary Express. 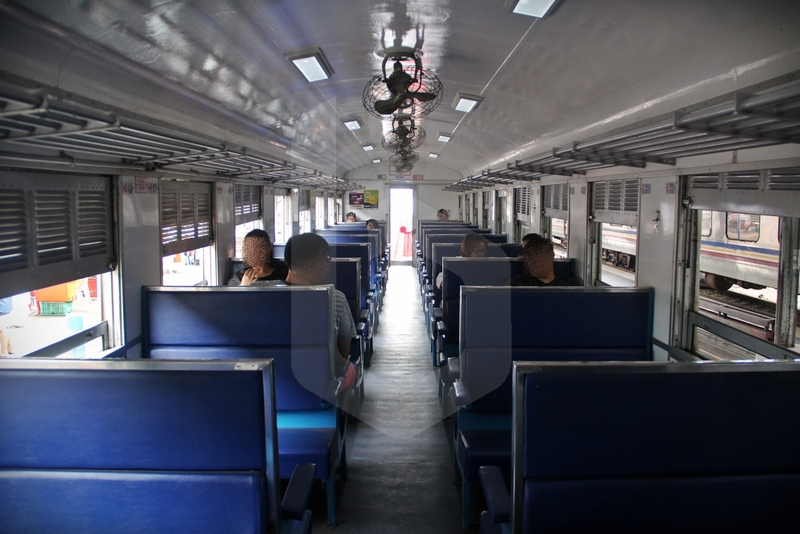 Tickets for the Hat Yai – Padang Besar Shuttle Train do not sell out, as these are only available for purchase on the same travel date, but that being said seats are not guaranteed and you may have to stand throughout the journey during peak periods. The Southern Line offers a wide range of trains and travel classes. 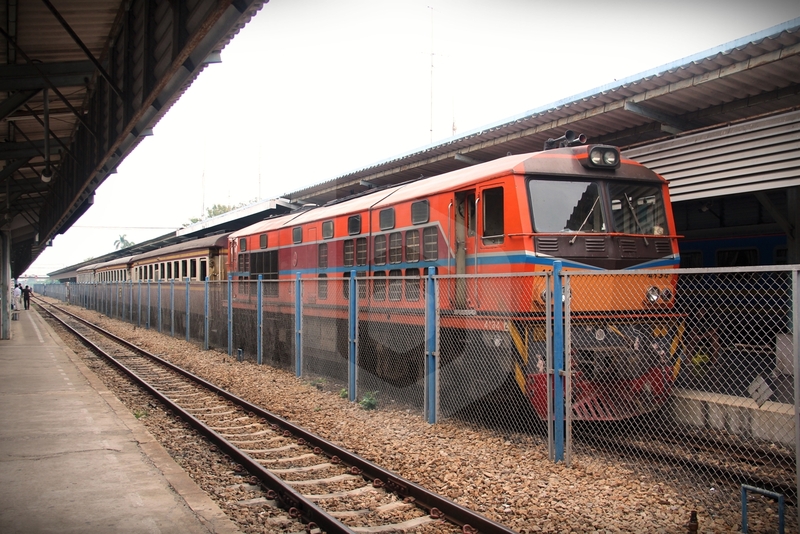 The Hat Yai – Padang Besar Shuttle Train operates two daily Express services: the EXPRESS 947 departing at 07:30, and the EXPRESS 949 departing at 14:00, both of which feature one class of padded Third class Seats. 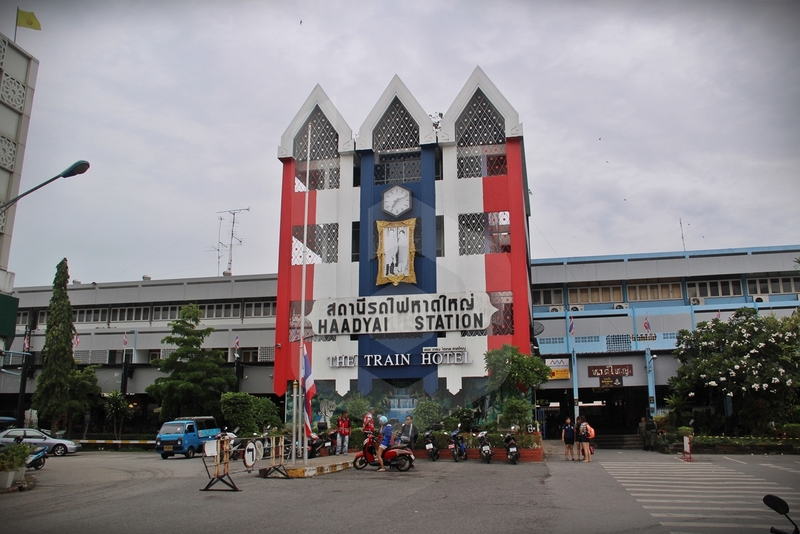 Hat Yai Junction Railway Station is the hub of train services in Southern Thailand. 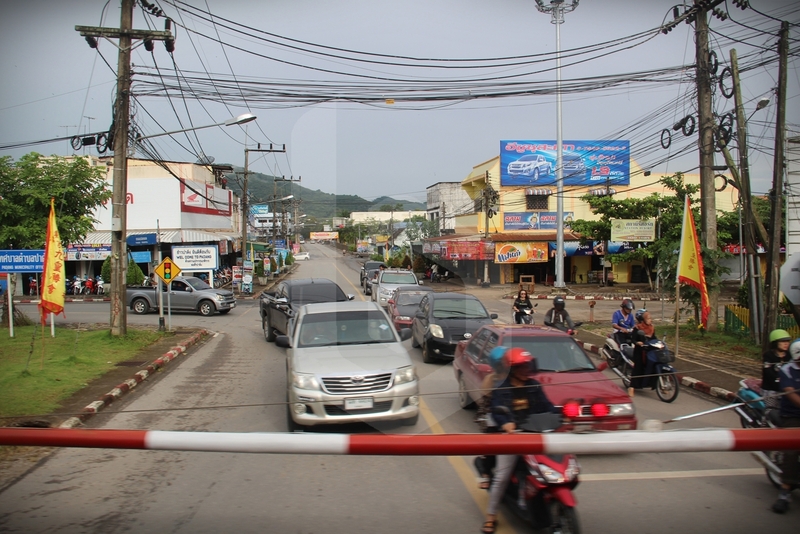 Getting to Hat Yai Railway Station is very easy as Hat Yai is a relatively small city, and the train station is right in the center. From most city hotels, the railway station is probably a stroll of less than 10 minutes away. 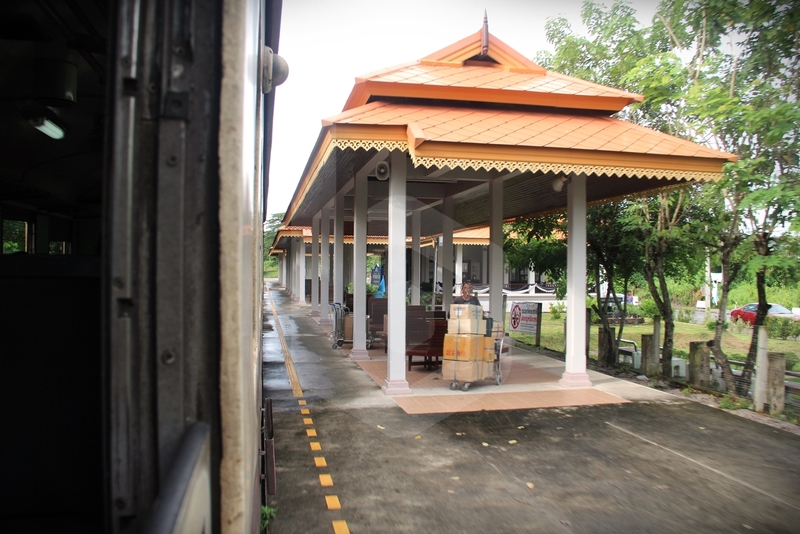 If you are coming from the Special Express 31 Thaksinarath sleeper train from Bangkok, the transfer to Hat Yai – Padang Besar Shuttle Train is within the same station, so it is not complicated. 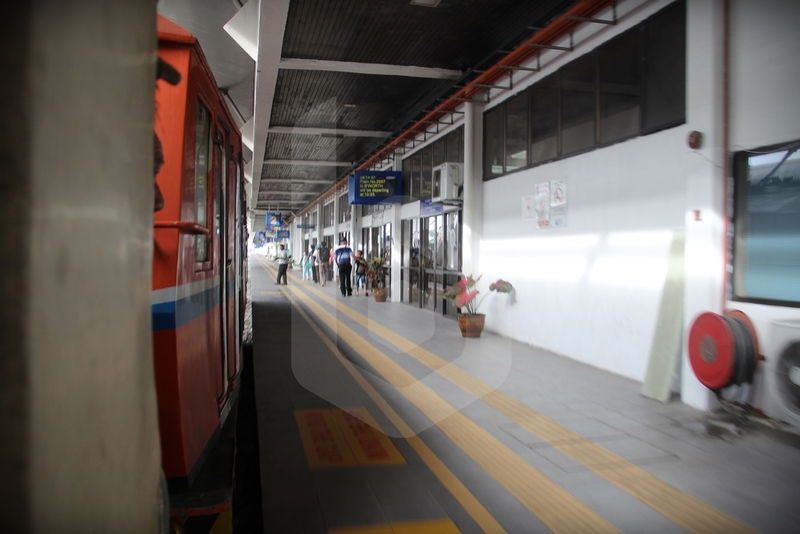 Tickets for the Hat Yai – Padang Besar Shuttle Train can only be purchased on the spot on the day of travel at the station counters labelled as “Tickets for Travel Today”. 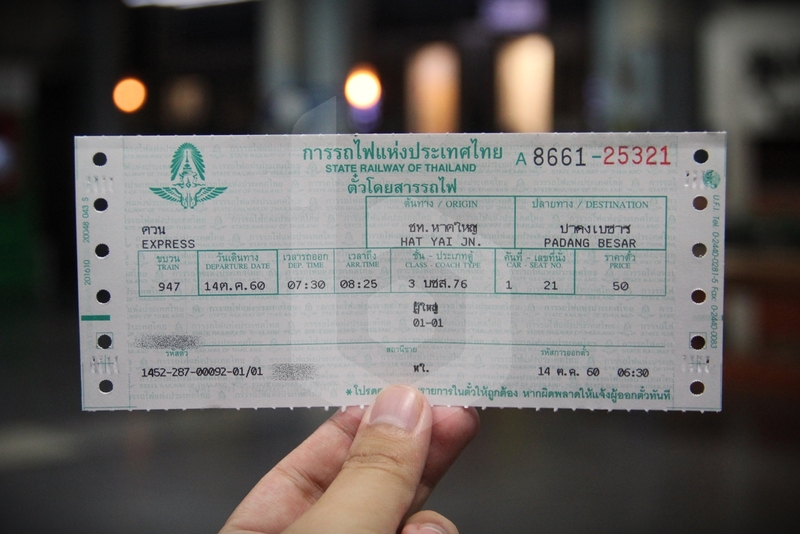 Tickets for the non-air-conditioned Third Class train cost 50 Baht. You may be required to present your passport to purchase your ticket, since this is an international railway service. The Hat Yai – Padang Besar Shuttle Train is usually parked at Platform 3, but check the exact platform on the date of your departure. The train is made up of Bogie Third Class (BTC) coaches. The older coaches have padded benches on 3+2 configuration. The refurbished coaches have padded benches on 2+2 configuration. 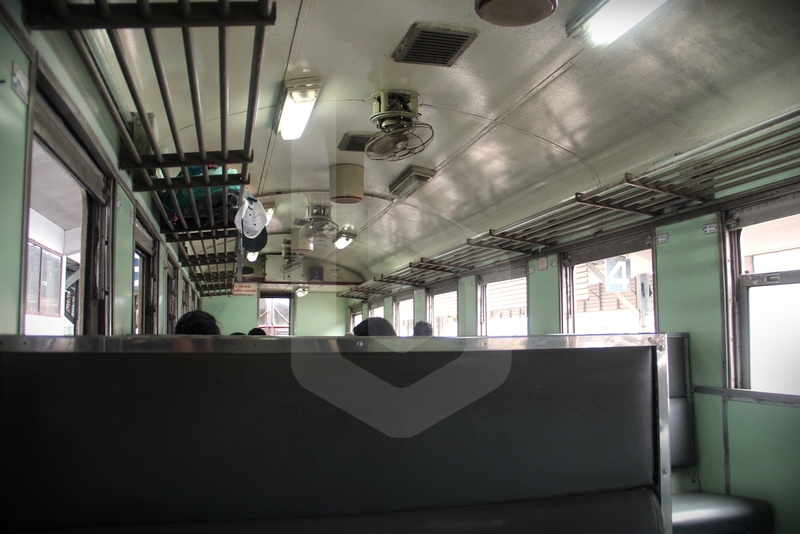 While non-air-conditioned, the Third Class coaches offer ample personal space, luggage racks and fresh natural air when the train is on motion with the windows open. Circulating fans are also placed throughout the coach. 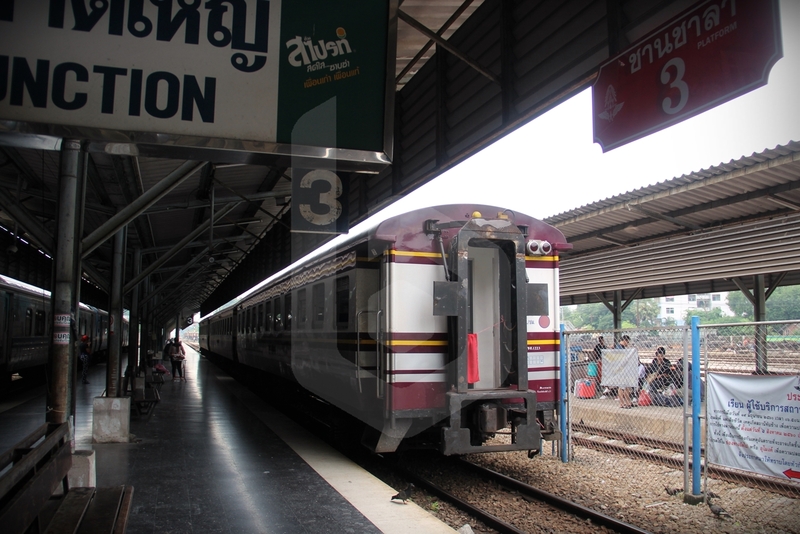 Departing from Hat Yai Junction Railway Station. 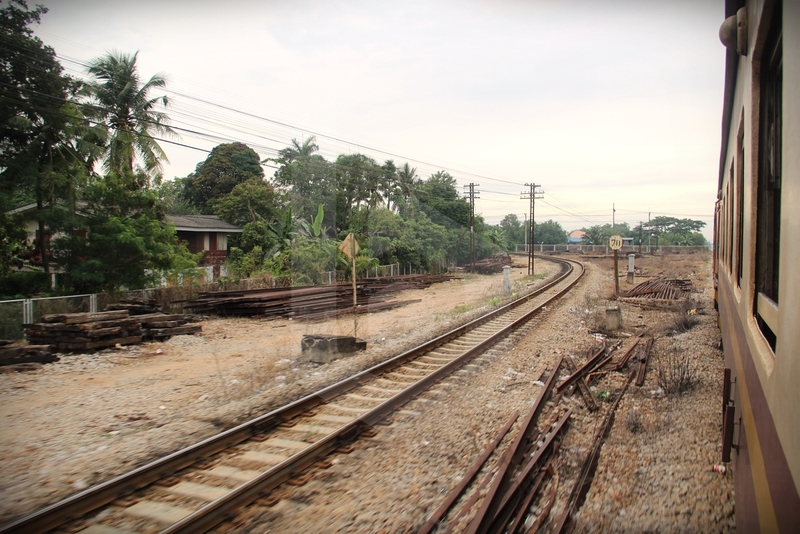 The track on the left splits off towards Yala and Sungai Golok. The lush greenery outside makes this trip worthwhile both for the natural sights as well as the really fresh air. 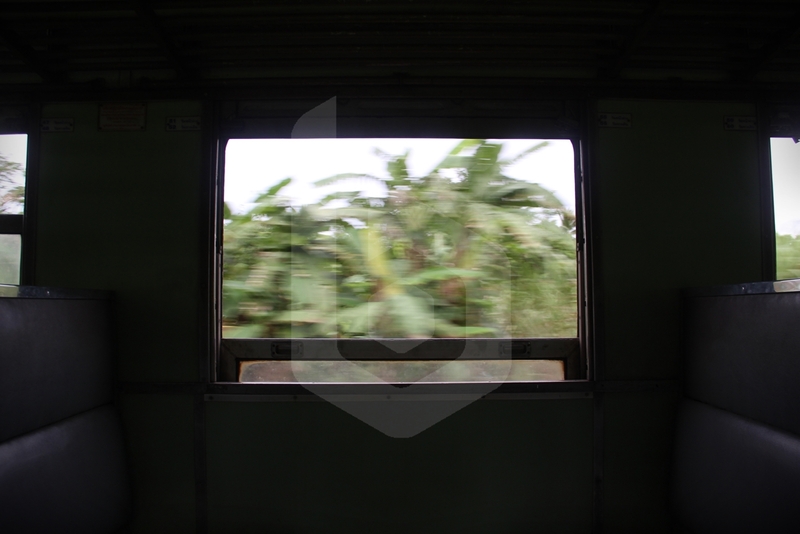 The train makes a brief stop at Khlong Ngae Railway Station, though usually no passengers board or alight here. Continuing on to Padang Besar through Songkhla province. 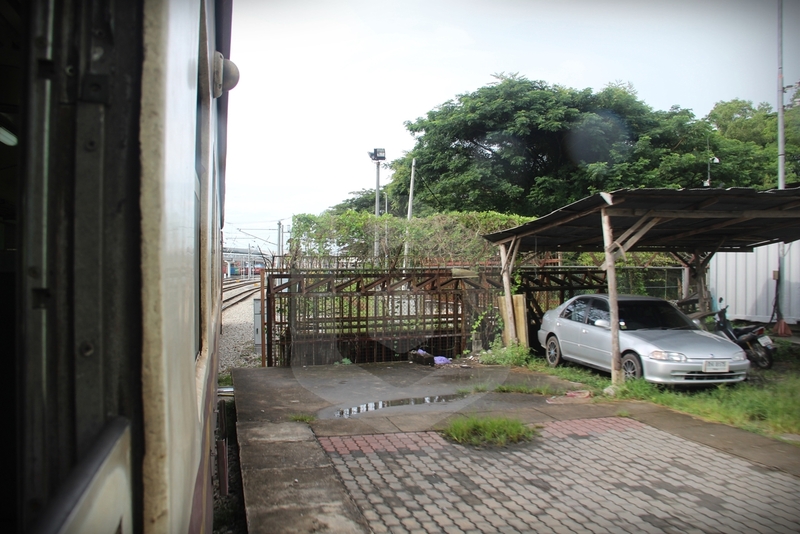 The train next makes another brief stop at Padang Besar (Thai) Railway Station, on the Thailand side of the border. 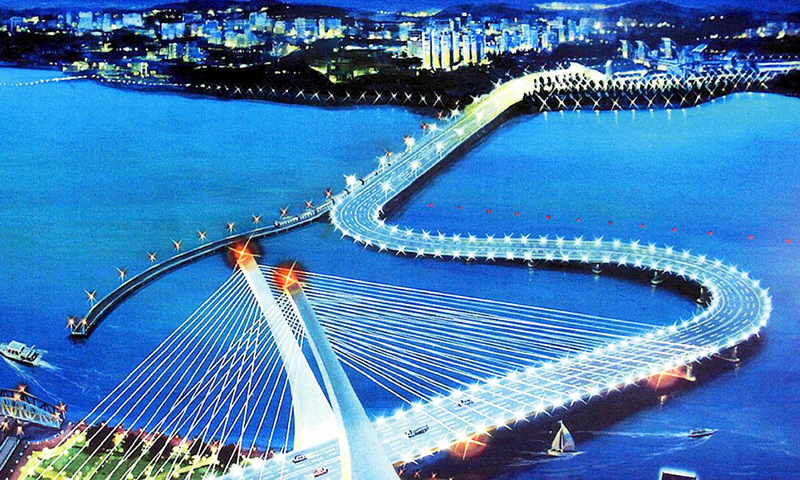 Those who are not continuing onwards to Malaysia must alight here. 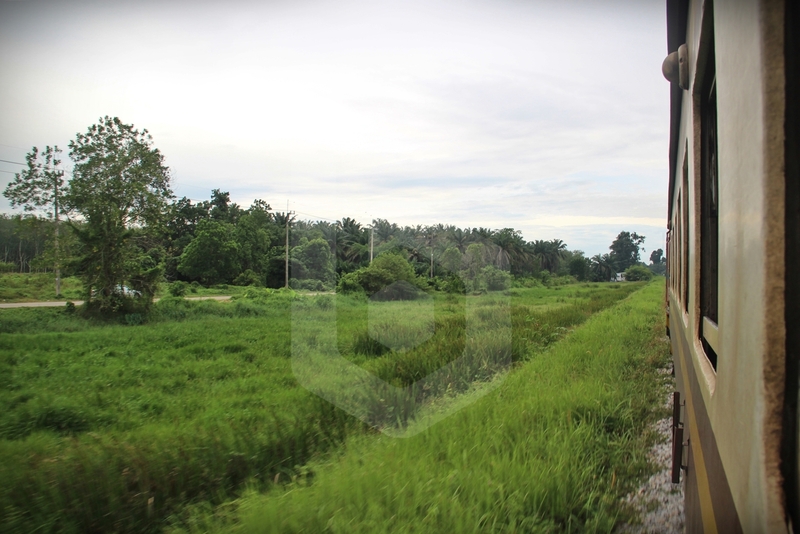 Just after Padang Besar (Thai) Railway Station, the Thailand-Malaysia border is in sight with a prominent gate for the railway tracks. Goodbye Padang Besar Thailand, Hello Padang Besar Malaysia. 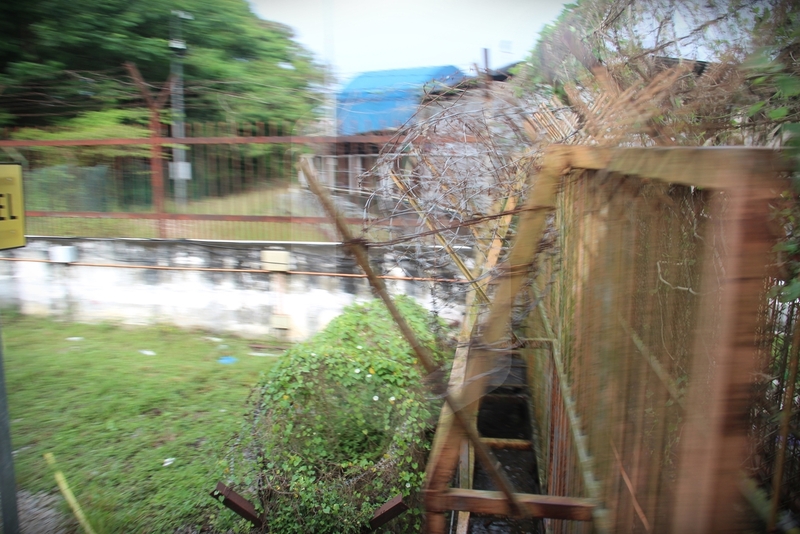 Approaching Padang Besar Railway Station in Malaysia territory, after crossing the border. 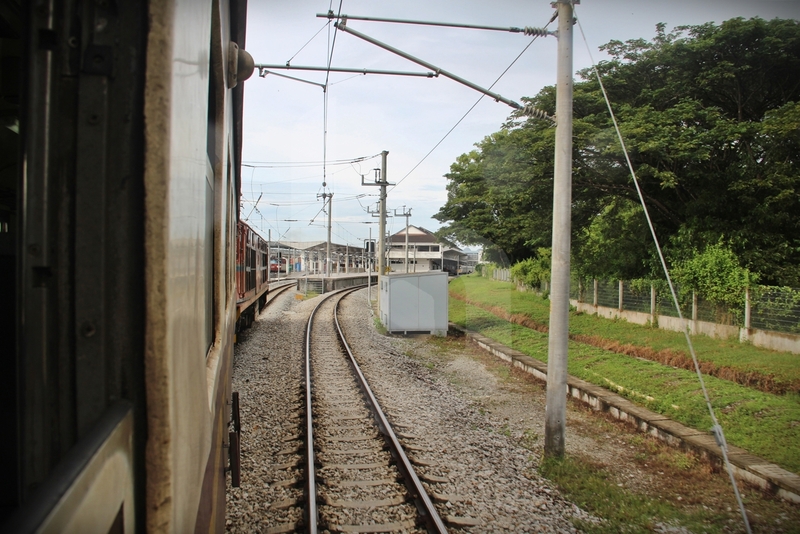 The Shuttle Train takes less than 1 hour to cover the distance between Hat Yai and Padang Besar. 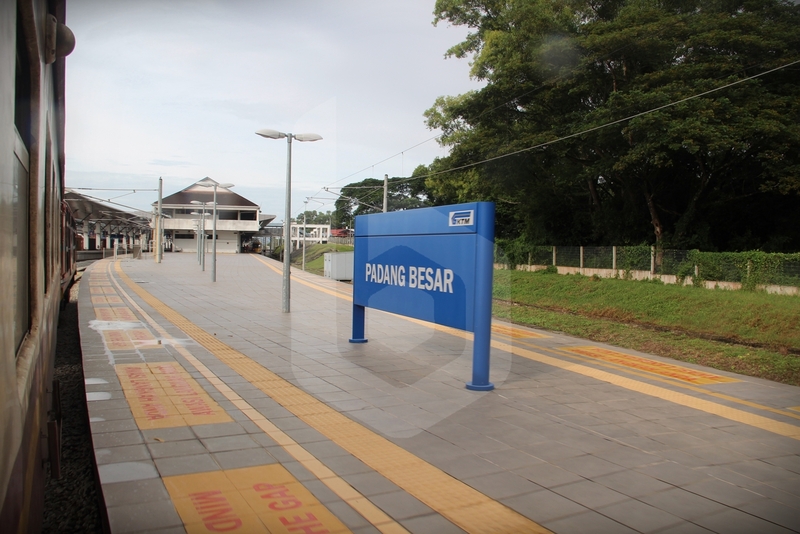 Padang Besar Railway Station has high platforms which are of the typical new Malaysian standard for the newer trains. The train will pull up at the main station building. 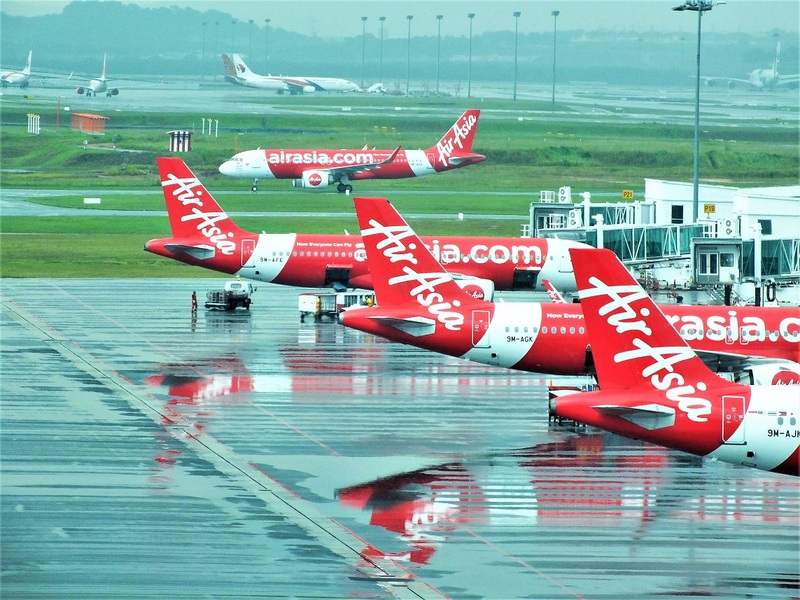 After disembarking, go through Thai immigration for exit procedures, followed by Malaysian immigration and customs clearance to enter Malaysia. Both immigration procedures are done one after the other in the air-conditioned area of the platform. 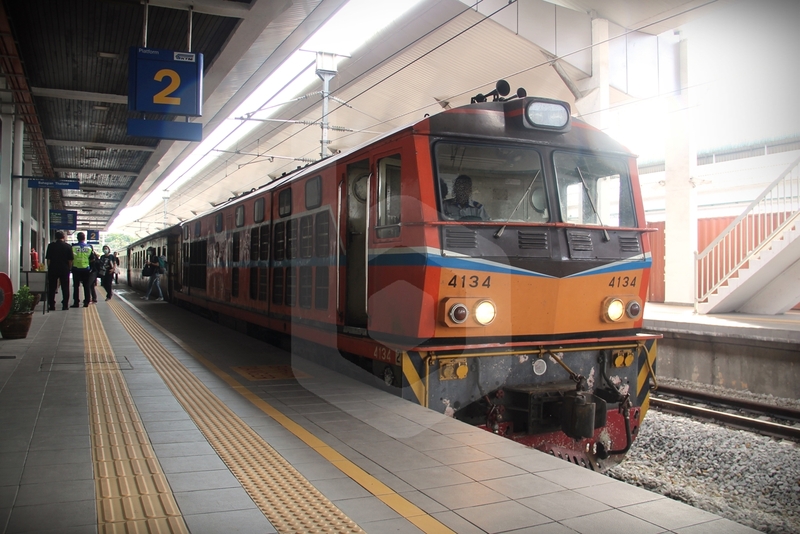 Once in Malaysia, you can connect with train services operated by KTM Berhad along the West Coast Line. ETS EP92xx Platinum services operate from Padang Besar to Kuala Lumpur, whereas ETS EG94xx Gold services operate from Padang Besar to Gemas. 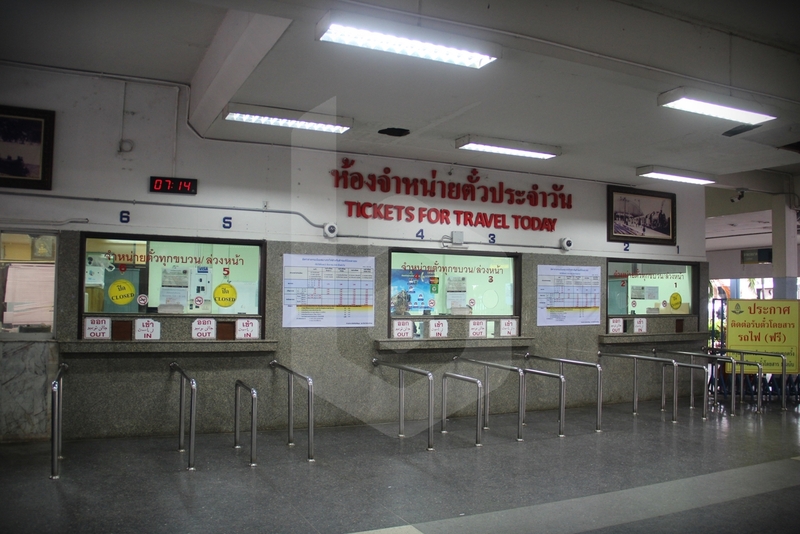 Tickets for the Hat Yai – Padang Besar Shuttle Train can only be purchased on the spot on the day of travel at Hat Yai Railway Station counters labelled as “Tickets for Travel Today”. 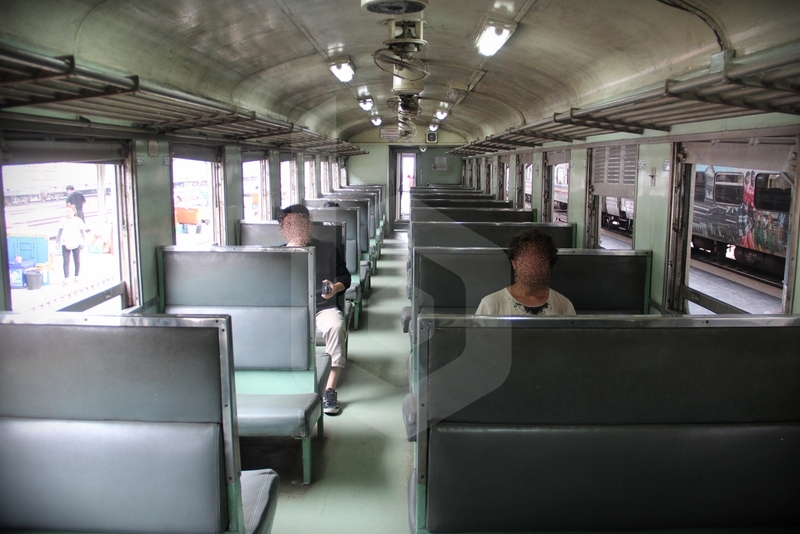 Tickets for the non-air-conditioned Third Class train cost 50 Baht. You may be required to present your passport to purchase your ticket, since this is an international railway service. 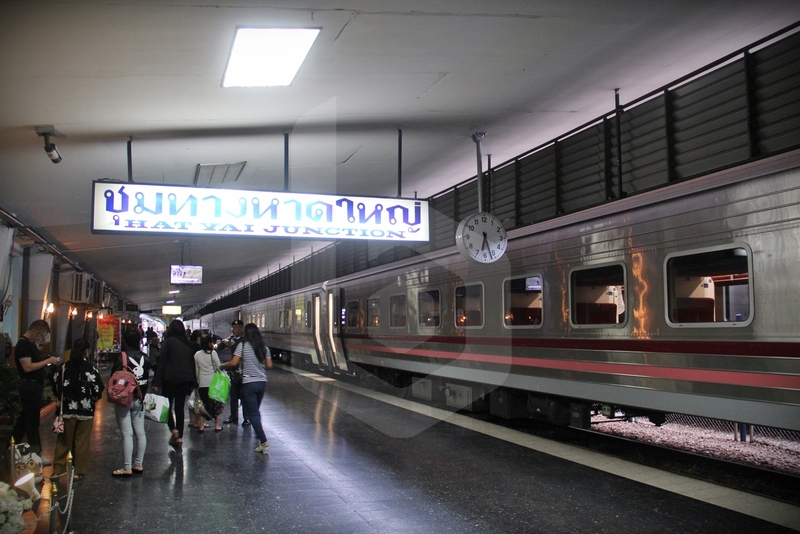 Alternatively, if you are travelling from Bangkok or Surat Thani, you can considering taking the Special Express 45, which can be booked online in advance for long-distance journeys, such as Bangkok to Padang Besar and Surat Thani to Padang Besar. Online booking for the short-distance journey Hat Yai to Padang Besar is only available 1 day in advance. If you book your train tickets online with Baolau, you will receive an e-ticket attached to your booking confirmation by email. The electronic tickets are valid boarding passes. However, passengers are requested to print the e-ticket in advance and carry the printout while boarding. Please do not carry the e-ticket in your mobile phone or tablet as digital copies are not accepted by the train conductor.